I have mentioned how disappointed I have been with Frankel's 2yo offspring this season (2018). Bar one or two horses, it really has been a poor year with more horses floundering at nursery level that hitting the headlines with Pattern race success. I don't think one Frankel 2yo achieved that racing domestically. Kevin Ryan's East won at Group 3 at France. Let's have a quick look at the Frankels entered for the 1000 & 2000 Irish Guineas. I'll detail more about the Epsom Derby at a later date. So who do we have entered for the early Irish Classics? As you can imagine, it is a limited number. At present, there are 96 entrants so we have the world and his wife looking at this race. In fact, we only have one entrant for this race. Old Glory, trained by Aidan O'Brien. This son of Frankel got off to a flying start but had to settle for placed efforts next two starts at pattern class. Considering Aidan O'Brien has almost 30 entrants you really get a feel for the strength and depth of this stable. When you consider he has almost a third of the entrants. By all accounts, Old Glory will need to have some form of transformation to figure as a major hope. The fillies race is, perhaps, a little more interesting. We have three Frankel entrants for this Classic. In fact, three high-profile trainers. Elizabeth Way is a daughter of Frankel, trained by M. Halford. This homebred in the ownership of Godolphin wasn't fancied on her debut at Naas and finished seventh. Needs to progress a lot to even register as a hope. It's good to see Saeed bin Suroor shine this season, from under the shadow of Charlie Appleby. Dubai Beauty has raced three times and another filly who needs a touch of inspiration to make the line up here. She won well on debut at Newmarket. The disappointed favourite when unplaced at Doncaster when contesting Group 2. Then, similarly, unplaced in seventh at Longchamp, France, when battling at Group 1. She wasn't beaten any real distance, less than three lengths behind at the line. The most interesting of the trio is Kevin Ryan's East, who was one of the few juveniles to pepper the headlines here and across the pond. A narrow victory on debut when racing over six furlongs. Then a smart win over seven furlongs at Group 3 at Saint-Cloud, France. There was excitement about her final start of the season when travelling to the United States competing at Churchill Downs in the Breeders' Cup Juvenile Fillies' Turf (Grade 1). Chad C. Browns' Newspaperofrecord who is supreme fashion by a lengthy six-and-three-quarter length. East ran on at the finish to nab second place. One of the more likely chances and real chance for Frankel to shine as a sire for this Classic. 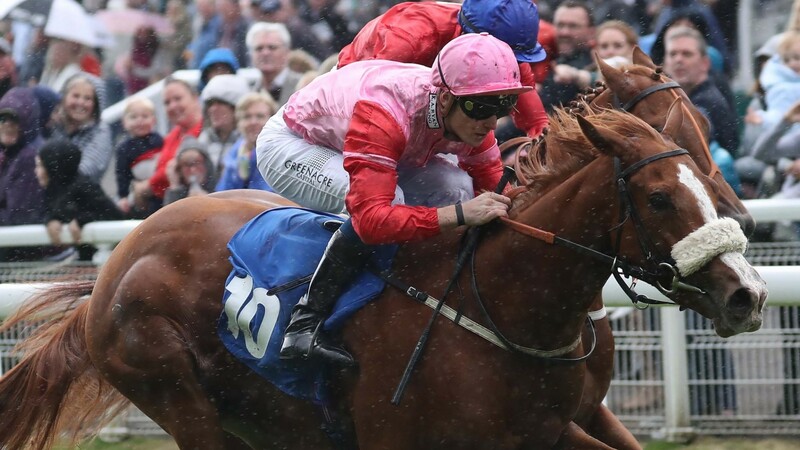 We will take a look at the English Guineas when the entrants are made.